Voting booth: How likely are you to buy a new car this year? Naamsa has predicted a major increase in local vehicle production in 2019 as it revealed some of the local industry's biggest challenges and shared its outlook for the year ahead. Naamsa predicts 558 000 vehicles to be sold locally compared to the 552 190 achieved in 2018. Last year, the organisation predicted 572 000 models sold. With an uptick in local production, we asked readers whether they'd purchase a new car in this year. 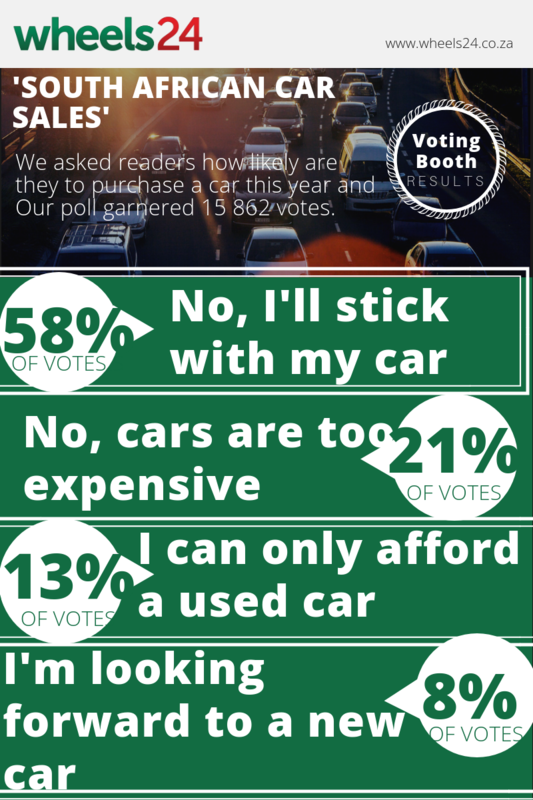 About 50% of respondents said they'd stick to their current ride in 2019 and 21% voters believe that cars are expensive.